I’m Sarah Sharp and I’m a second year PhD candidate at the University of Edinburgh and a research assistant on the New Edinburgh Edition of the Collected Works of Stevenson. Amongst my peers, however, I’m probably best known for my unnerving bent towards the morbid and gruesome sides of Romantic era writing. Born of an MSc thesis which looked at fragmented bodies in James Hogg’s short fiction, my thesis looks at the representation of burial in early nineteenth century Scottish writing, focusing particularly on instances where burials depicted don’t follow the standard conventions of a ‘good death’. I’m also interested in the afterlives of these texts, and the way in which they are echoed in other Scottish writing later in the century. So, why the bodies, you may be wondering? Discovering the works of James Hogg beyond his best-known novel Confessions of a Justified Sinner, in the fourth year of my undergraduate degree had a huge influence on the direction of my postgraduate work. I was fascinated and disturbed by the final Circle of The Three Perils of Woman, an amazing nightmare-like journey across the post-Culloden Highlands, where acts of brutality circulate like currency and mutilated bodies litter the landscape. After this encounter with the darkest side of Hogg, it wasn’t long before I realised that his contemporaries were also strangely fascinated by the mutilated and misplaced bodies of the dead. 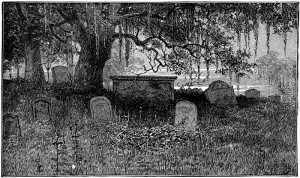 Scottish romanticism is in fact noticeably awash with displaced corpses and rising bodies: the suicide’s body exhumed in Confessions of a Justified Sinner; the blood-soaked Covenanter rising as from the grave in Scott’s Old Mortality; the living man interred and then resurrected in John Galt’s ‘Buried Alive’. What do the displaced dead mean in these texts? Why do images like these reoccur so often within the works of early nineteenth century Scottish writers? My attempts to answer these questions have so far lead me into many different areas of Scottish Romantic culture: exploring the crimes of Burke and Hare; the Cholera outbreak of 1832; body-snatching; the birth of modern medicine and the passing of the 1832 Warburton Anatomy Act. I’m therefore going to use my blogs here to give you a taste of some of the interesting, intriguing and sometimes downright grotesque aspects of Romantic Scotland which emerge from my research. It’s hopefully going to be dead good fun!